For senior management, Asset’s biggest asset is the executive dashboard which shows and tells you the exact state of your business, past, present, and future. Asset gives you over 300 reports you need to make good business decisions. 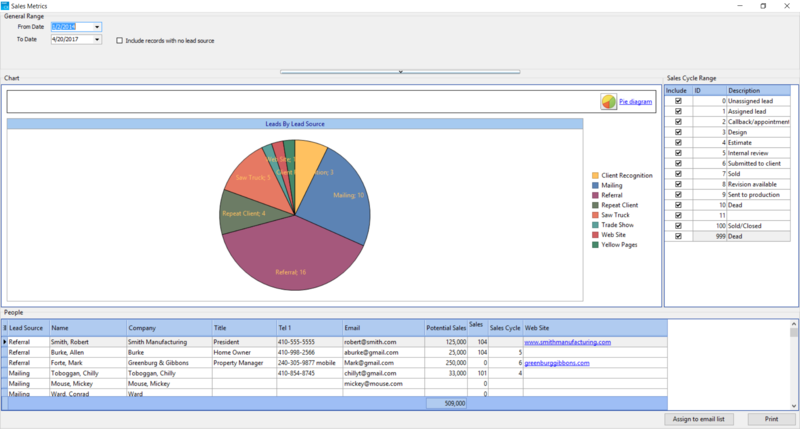 You can even customize and create new reports based on your company's unique needs. Report possibilities are endless. 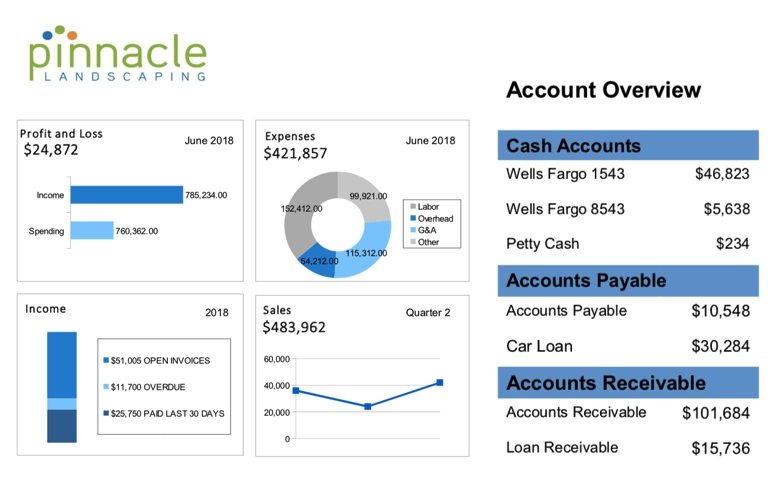 All financial statements including balance sheets, budgets, and profit and loss statements are available for your business the way you want to see them. Monitor your sales pipeline and sales goals. Create job costing reports to ensure estimating is accurate. Keep track of where your leads are coming from. See real-time information on your contracts and projects while the work is still in progress. Quickly see which maintenance contracts are making the most money. Revenue and profit reporting by department. 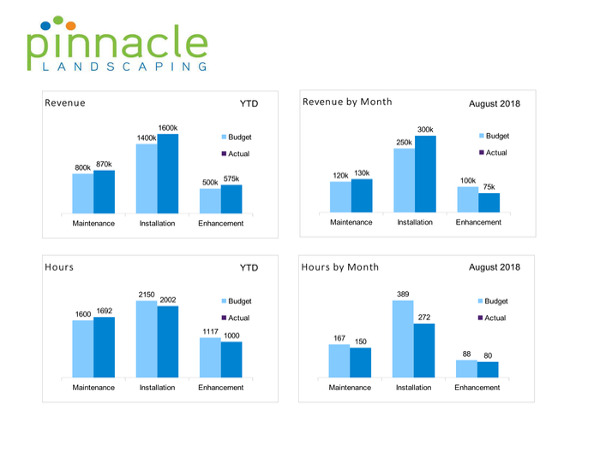 With Asset's add-on, iKPI, you can easily monitor your landscape's company success from anywhere. Customized, powerful dashboards help you visualize departmental success metrics. Stop making guesses on gut feelings and rely on data to improve your business. 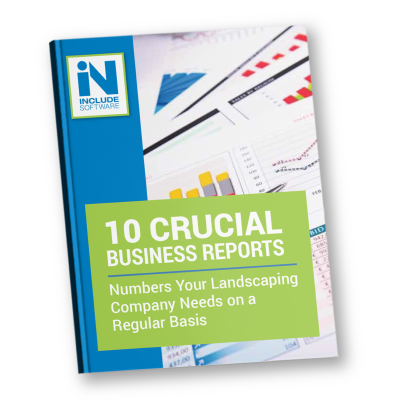 You know that your landscape business would benefit from being able to easily pull meaningful reports. But with so many numbers to interpret, it can be overwhelming. Find out some of the most valuable reports your company should be running on a regular basis and what they mean for tracking your success!